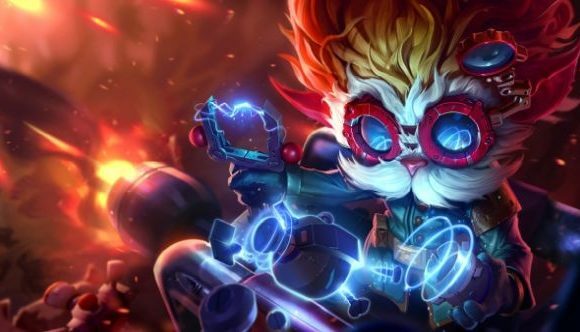 Riot Games is launching a set of brand-new game modes for League of Legends. Experimental game modes were first mentioned in a translated (and now removed) post, but Riot has since published an official release regarding the new modes. The original post came from gameplay producer Riot SpaceNorth, and explains the first experimental game mode, Nexus Blitz. In an official post later on, SpaceNorth says that “experimental modes are gamemode-prototypes that bring you a different experience than Summoner’s Rift, Twisted Treeline, or Aram.” They’re also different from rotating game modes like URF, Doom Bots, and One for All, in that Riot wants to make them long-term additions to the game. Unlike some previous limited time modes, such as the Invasion or Overdrive modes (which were attached to particular skin releases) experimental modes aren’t tied to a particular event, and should be around for quite a while after their initial releases. That said, Riot are prepared to set experimental modes aside if they don’t work out, and “explore other ideas” if needs be. Experimental modes are intended to be subject to “aggressive patching to evolve and balance the mode throughout the test,” SpaceNorth writes. “While rotating modes are entirely finished products, the few experimental modes that release each year will be built from the ground up, often using pre-existing assets in their early stages. The first of these modes, Nexus Blitz, is reportedly set to appear in patch 8.16. It’ll be in alpha for four weeks as part of an open test available to all players. The game will run for roughly 15 minutes, on a compact map featuring both junglers and laners. ‘Events’ will take place every few minutes, affecting the whole map and giving significant advantages (everything from massive shields to minions equipped with Blitzcrank hooks) to winning teams. It’s not entirely clear what these events are, but the post mentions Payload, King of the Hill, and even Battle Royale as potential influences.